After taking breakfast in Delhi, depart for Agra. En-route we will visit Sikandra which is famous for Sikandra mausoleum of Emperor Akbar built in1492.After a brief visit to Sikandara, continue journey to Agra. 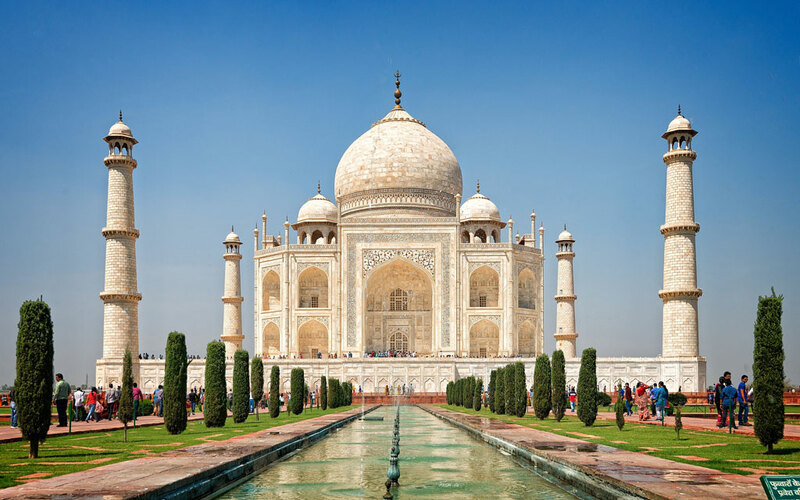 On arrival, check in to the hotel and after taking a short break visit Taj Mahal. The tour continues with a visit to Agra fort, Itamad-ud-daula and Mehtab Bagh. And in the evening you are free to explore the city at your leisure. Overnight stay will remain scheduled in your hotel. Starting your day with a glimpse of the wonder of the world, the marvellous Taj Mahal built by Mughal ruler Shah Jahan in commemoration of his wild love for his wife, Mumtaz Mahal. Visit this world heritage property in dawn to beautify your mind and soul in the calmest way. Later, come back to hotel to take delicious breakfast and then proceed to Jaipur. On the way you will have an opportunity to visit UNESCO World Heritage Site Fatehpur Sikri where the main attractions are Punch Mahal, Deewan- e-Khaas, Tomb of Salim Chishti and Buland Darwaja. After this short visit, continue your drive to Jaipur. On arrival to Jaipur, check in to the hotel. And after taking a short break, you can enjoy the local atmosphere and delicacies of Rajasthan at your own leisure. Take an overnight stay in your hotel. After breakfast leave Jaipur and proceed to Delhi, on arrival check in to the hotel and after a brief break, you are free for your own individual activities. Overnight stay will remain scheduled at hotel. After breakfast, make a good use of time available before your schedule flight and visit Delhi. Meanwhile we assure your safe and happy transfer to the International Airport for your further journey back home.